DON’T be surprised if Gilas players Jayson Castro, Troy Rosario, and Roger Pogoy suit up for TnT Katropa in the team’s PBA Commissioner’s Cup game against Alaska in Legazpi City on Saturday. The three national team players have committed to play for the Texters in the 5 p.m. Petron Saturday Special game at the Ibalong Centrum for Recreation owing to the significance of the match to the team’s bid to finish in the top two by the end of the eliminations. 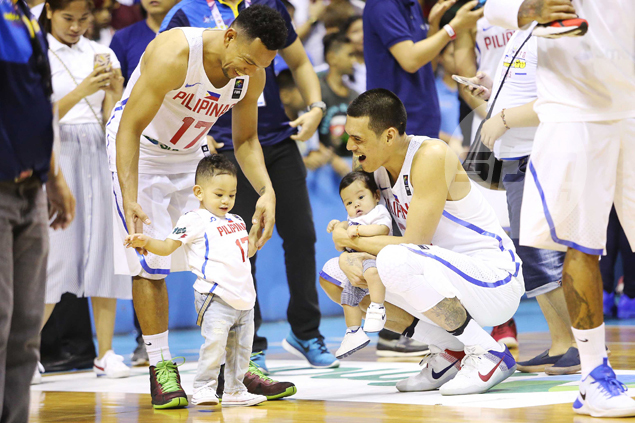 The three are coming in fresh from a stint with the national team, which completed a six-game romp to rule the Southeast Asia Basketball Association (Seaba) Championship on Thursday night at the Smart Araneta Coliseum by beating Indonesia, 97-64. After just a few hours of rest and sleep, the trio immediately joined the rest of the Texters in their 7 a.m. call time at the airport to catch their 9 a.m. flight to the Bicol region. During the Gilas break in the Seaba last Monday, both Castro and Pogoy showed up at the team’s practice facility at the Moro Lorenzo gym, but didn’t join the Texters in training. The Texters are currently in fifth place with a 6-3 (win-loss) slate after a 107-97 drubbing at the hands of the Star Hotshots, although they hold the distinction as the first and only team so far to beat co-leader San Miguel Beer in the mid-season tournament, 112-103. The loss to the Hotshots apparently, became the last straw for TnT management to find a replacement for import Donte Greene. Joshua Smith, the former UCLA and Georgetown University product, is set to debut for the Texters after practicing with the team for almost a week now during the Seaba break. Also set to wear the Texters uniform for the first time this weekend is Fil-Australian Anthony Semerad, who the team acquired in the four-team trade also involving NLEX, Meralco and Globalport. The former San Beda College has just finished his rehabilitation after undergoing operation to remove bone spurs on his foot. Villavicencio said Semerad has been practicing with the team for more than a week and is raring to play his first game for the franchise.